Iran Regime Leader Shows How Scared He Is of Overthrow in 2019. Much of Iranian Supreme Leader Ali Khamenei’s comments before senior regime figures in a December 12 meeting were focused on the very real possibility that in 2019 the people and their organised resistance, namely the People’s Mojahedin Organization of Iran (PMOI/MEK), would overthrow the mullahs. Khamenei is so scared of this that he has placed the Regime and its state security forces on high alert, something designed to unify the warring factions of the Regime against a common enemy: The Iranian people. These warnings spread across Iran during Friday prayers, with imams in various cities across Iran warning about the “enemy” and plots to overthrow the Regime next year. That is true, the Iranian Regime has seen mass uprisings every ten years since Khomeini’s death in 1988, from the 1999 student uprising to the 2009 Green Revolution, and given the mass uprising that began at the start of 2018, it seems obvious that the mullahs do have something to fear. Gholam-Hossein Sedighi, the Friday prayer leader for Tehran said that the enemy wanted to “overthrow the state from day one [of the mullahs’ rule]”, while Ali Moalemi in Qaemshahr, northern Iran, claimed that the enemy is trying to “spread corruption” in Iran. To be clear, the Resistance has always wanted to remove the mullahs from power, but the corrupt individuals in Iran are the ones in the Regime. The Friday prayer leader for Ilam, western Iran, warned that the enemy had plans to disrupt Iran in December and January and the Friday prayer imam in Mashhad said that the enemy had “a plan for 2019”. And yes, it’s very likely that the Resistance have plans to bring the Regime down in 2019. They haven’t exactly been hiding that they want the mullahs gone. Of course, it’s interesting that the mullahs continually refer to the Iranian people’s resistance as the enemy. This makes it clear that the uprising so far has shaken the mullahs, which is why Khamenei used the word “enemy” over 20 times in his remarks. They are trying to convince the Iranian people that this uprising in the work of outsiders, but the Iranian people know better. Thanks Dalvand for the Iranians update. God bless you! Thanks my friend and God bless you too. You are welcome my good friend Dalvand! More than 100 Members of US Congress condemn terror plot targeting Iranian opposition. On the verge of the 2018 nationwide uprising against the mullahs’ regime in Iran, senior members of the United States Congress participated in a conference on December 11 held in solidarity with the Iranian people’s uprising for freedom. Moderated by Ambassador Adam Ereli, former U.S. envoy in Bahrain and former U.S. State Department deputy spokesperson, the Members of Congress who participated expressed their support for the Iranian people’s uprising and ongoing protests across the country while condemning the regime’s domestic crackdown and foreign support for terrorism. These speakers called for increasing decisiveness in the face of the mullahs’ regime in Iran. More than 100 Members of the U.S. Congress took part in this session, also voicing their support for the bipartisan Resolution 1034 condemning the Iranian regime’s terror plot targeting the massive June 30th rally held in support of the Iranian opposition coalition National Council of Resistance of Iran (NCRI) seeking to establish a democratic republic in Iran. The Members of the Congress participating included Eliot Engel (D), Ranking Member of the House Foreign Affairs Committee; Judge Ted Poe (R), Chair of the Terrorism Subcommittee; Sheila Jackson-Lee (D); Brad Sherman (D); Judie Chu (D); and Steve Cohen (R). 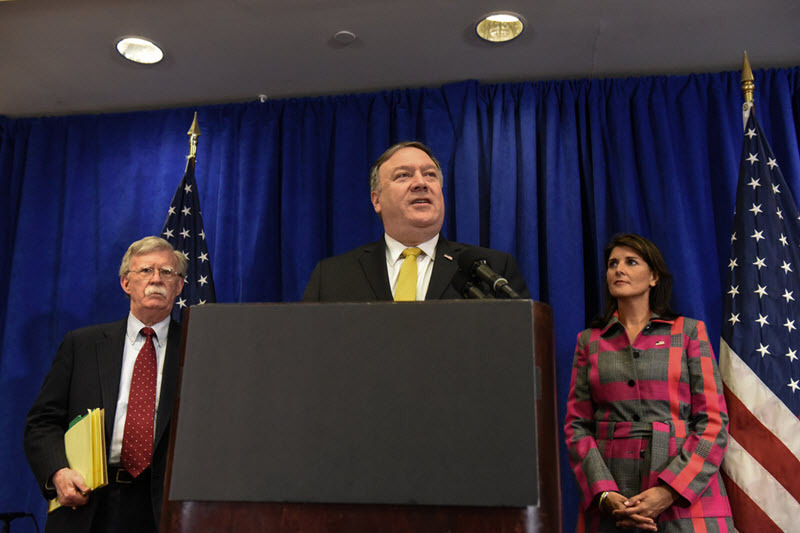 The US State Department has released an extensive report detailing the Iranian Regime’s “destructive behavior” at home and abroad shortly before the 40th anniversary of the mullahs stealing power. The report, entitled Outlaw Regime: A Chronicle of Iran’s Destructive Activities, goes into stark detail about Iran’s support for terrorism, illicit financial activities, abuse of human rights, environmental exploitation, its missile program, a threat to cyber security, and a threat to maritime security. The report starts with a letter from US Secretary of State Mike Pompeo, who explains why the US withdrew from the 2015 Iranian nuclear deal and how the Iranian Regime will suffer as a result. Pompeo said that the report served as “a full record of the Islamic Republic’s hostile behavior abroad and its repression at home beyond the continued threat of its nuclear program”. The report makes clear that the Iranian Regime’s support for terrorism has gone on since the start of the Regime, usually driven by the Revolutionary Guards (IRGC) and its Qods Force as well as the Ministry of Intelligence and Security (MOIS). This support for terrorist groups has been aided by Iran’s continued development of ballistic missiles – in violation of UN resolution 2231 – and its “opaque and fraudulent financing activities”, which have undermined the integrity and security of the global financial system. As a result of all of this, the US considers Iran a threat to maritime security in the Persian Gulf and the Red Sea and to cyber security, where they have been engaging in unsafe behaviours for a couple of years, mainly through the use of proxies. The Iranian Regime is also known to have ignored environmental crises that have led to drought and mass migration in Iran; something not surprising considering their “repeated and systemic abuse of human rights”. The report observes that the Regime’s human rights abuses extend far beyond its borders, with the murder of civilians in Syria and the arbitrary detention of Sunnis in Iraq. New York, Sept. 26, 2018 – The Iranian regime came under criticism at the United Nations Security Council on Wednesday, a session specifically chaired by U.S. President Donald Trump focusing on the threats posed by Tehran’s mullahs and the proliferation of weapons of mass destruction. Describing the mullahs’ regime as the world’s leading state sponsor of terrorism, U.S. President Donald Trump blasted the Iranian regime’s support for the Assad regime in butchering the Syrian people. Iran’s mullah should never be permitted to obtain nuclear weapons, he highlighted. Voicing his position to the 2015 Iran nuclear deal, Trump emphasized how the Iranian regime used money from the highly flawed deal for terrorism and creating havoc. The U.S. imposed sanctions to confront the Iranian regime’s malign activities, he continued. Washington calls on all UN members to cooperate with us in guaranteeing Iran never obtains nuclear weapons, Trump finalized. French President Emmanuel Macron highlighted the Iranian regime’s regional threat, with a special focus on the need to analyze and prevent the Iranian regime’s ballistic missiles program. The transfer of missiles to the Lebanese Hezbollah and Houthis in Yemen, both militia groups supported directly by the Iranian regime, were other issues members of the UN Security Council voiced concerns about and sought immediate action. Members of the Iranian Diaspora from across the world rallied in front of the UN headquarters in New York for the second consecutive day, protesting the presence of Hassan Rouhani, the president of the Iranian regime, and to echo the demands of thousands of protesters in Iran calling for regime change in their country. Yesterday, the protesters held a similar protest while Rouhani spoke at the 73rd UN General Assembly summit while having to overcome unfavorable weather conditions. Politicians, religious leaders, members of the National Council of Resistance of Iran (NCRI) and representatives of the Syrian opposition delivered speeches at the Tuesday rally. The protesters used different methods to put on display the numerous crimes and illegal activities of the Iranian regime. Most concerning in the agenda of Rouhani, who has been received as a state leader at the UN and is being framed as a “moderate” figure by many western politician, is the worrying escalation of executions during his presidency. More than 3,500 people have been executed during six years of Rouhani’s presidency, according to figures published by the Iranian opposition and confirmed by many international human rights organizations. The blow of US’s withdrawal from Iran Deal and its reflections within the regime is rising every day and worsens the battles of the gangs. One of the latest examples is the conflict between the Assembly of Experts(Khobregan) and the gang of regime’s president Mullah Rouhani Because of Iran Deal and the continuation of this event. Another expert, Mullah Abtahi, also said that the statement of the experts was not the opinion of all the members and that if I knew I would not sign the statement. And finally there were other people involved in the fight. First of all, we see now that war and conflict are at the top and the highest point of the regime’s power pyramid. Secondly, all organs and institutions of the regime from the parliament to the Assembly of Experts and to the Revolutionary Guards, the government, the judiciary, and so on have involved. Thirdly, we also see the gap in these institutions. For example, in the parliament we are witnessing the clash of representatives of the two gangs. Or, in the Assembly of Experts, it was not until now that the experts took a position and made a statement, and some of its members would take a stand and speak against it. We see these gaps in the Rouhani’s gang and even within the state. For example, Rouhani’s adviser criticizes to his government minister, or the media criticize it from various positions. Is this conflict between the Experts and the government and within the limits of these two institutions above the regime? And why do we call it a fight and a gap at the head of the regime?! No! When we say that the struggle at the top of the regime, the war is at the point of Khamenei, which said on Wednesday (May 2, 2018): I said if you want to get the contract, take the necessary guarantees and then close them. One of the conditions I said was that the US president should sign. The respectable officials worked hard and, well, they could not. And then he added: “I do not trust these three countries (European Troika) … If you could make sure that it’s okay, of course I’m unlikely to know. If you cannot get a definitive guarantee, you will not be able to continue. This led to various statements in the media by Rouhani’s gang, including in the May 13 meeting, the parliament they chanted Khamenei whose accomplishment “Iran deal”, from the first to the last, was led by Khamenei and was signed. Then the Khamenei’s propagandists said that, they forced Khamenei to made such orders, but Rouhani’s government did not listen to Khamenei’s advices. Meanwhile, the government of Rouhani did not keep silent and issued a statement of eight articles entitled “Those who have smashed, now have been creditors instead of apologizing, do not contradict “, replied to the statement of the Assembly of Experts, denounced their position and, in addition to emphasizing Khamenei’s role, was raised. Tell us what to do, tell us what to do if we did not sign, and if we do not do it now, what to do. “Unfortunately, those who have to apologize for their misplaced positions in the past are creditor for national achievements and are not willing to answer the question of how damaging the outrageous sanctions on the Iranian nation have been and what they have done to prevent them from timely prevention. They are never ready to speak of their inability to provide alternative ways of “Iran deal” and to apologize to the nation for their misleading approach to progress in the country. In an obvious contradiction they were worried about America’s presence in “Iran deal” and the other hand they have been as plaintiff of US’s withdrawal of Iran deal. Do you determine the religious duty of the diplomatic system or your supreme leader? Interestingly, the parties to the dispute, despite the fact that they are aware of the danger of the situation and read the unity’s weep of one another, cannot even temporarily establish cease-fire between themselves. The reason is that the fuel of this war is a dangerous situation and the prospect of the overthrow of this regime. But they are not able to stop it. Because in the current situation is not the field for compromise, the crisis bedside, in itself, promotes war, but it is important that the ruling gangs with this conflict constantly weak each other and the whole regime and pave the way for the overthrow of the religious dictatorship by the people’s uprising led by the Iranian resistance. This is the logic of history and they do not escape it. Thanks my new friend, appreciate. The Assad regime’s recent chemical attack against innocent civilians marks another atrocity in Syria’s multi-year human catastrophe. Hospital reports indicate that the victims all showed signs of chemical exposure. In total, there were over 500 casualties and at least 42 confirmed deaths, two of them small children brought into the hospital cold, limp, and foaming at the mouth. The attack sparked widespread condemnation from the international community. 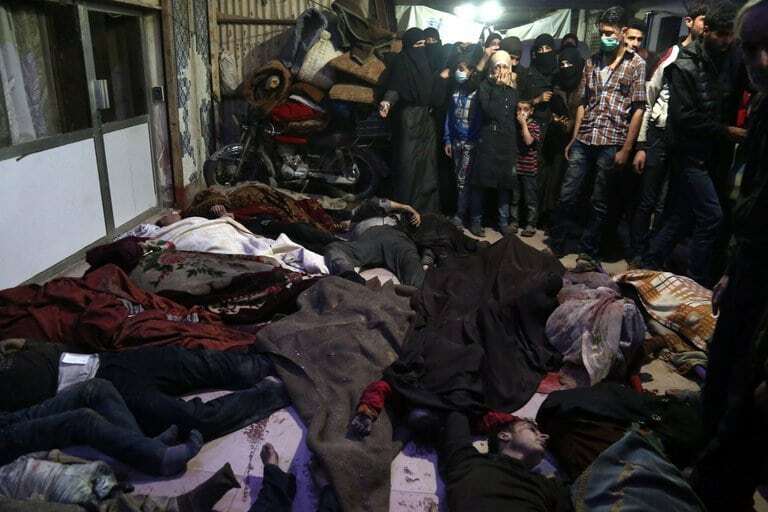 British Prime Minister Theresa May said the Assad government must be “held to account.” Predictably, the Iranian regime was one of the few silent voices, due to its steadfast support of the Assad regime. The Iranian regime’s alliance with Syria was born following the Iranian Revolution in 1979. Iran has been granted Syrian construction contracts and generally supported all actions taken by the Assad regime. 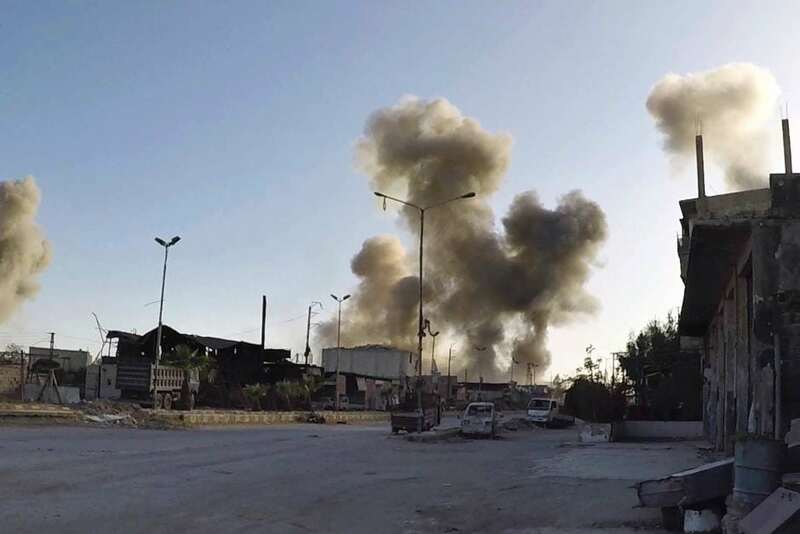 Direct Iranian involvement in the attack has not been confirmed, but its silence underscores the absence of moral leadership in the Middle East. Iran is the world’s number-one state sponsor of terrorism and systematically violates the human rights of its own citizens. By proxy, this gives all Iranian allies a green light to commit their own atrocities. Conversely, an Iran committed to international law could dramatically reshape the inter-state accountability dynamics within the Middle East. During the uprising in Iran that engulfed as many as 142 cities, one of the key chants of Iranians in the street was, “Leave Syria Alone, Think About us,” a clear popular rejection of the Iranian regime’s nefarious involvement in the violence in Syria. If the international community seriously wants to prevent further Syrian atrocities, it must support the Iranian people strive for regime change, in favor of a secular, democratic, non-nuclear form of government. This is a key step in bringing peace to the Middle East. With the announcement of a new Secretary of State and a new national security adviser, many have said that the odds of President Donald Trump pulling out of the 2015 Iran nuclear agreement have increased. Furthermore, it seems very unlikely that the European parties to the deal – the United Kingdom, France and Germany – will be able to guarantee and address the changes that Trump requested. For one, the three European countries submitted a proposal to sanction Iran for its ballistic missile activities and its belligerence and interference in Syria. However, the proposal must get unanimous approval and there are already several countries that have expressed opposition, including Spain, Austria and Italy. Italy said that it was very concerned about its interests worth millions of dollars being put into jeopardy. Of course no-one can predict how Iran will react if Trump did announce that he was no longer going to waiver sanctions, however it can be safely presumed that the news will not go down well. Some have even said that Iran will immediately start carrying out illicit nuclear activities. The Iranian regime has previously tried to provoke Trump with acts of defiance. The regime could reinstall some of its centrifuges that have been out of use for months and it could continue to fine-tune other ones. It could also start to stockpile uranium instead of shipping it abroad or it could enrich it to 20 per cent. Some believe that there will be a race to the nuclear bomb. Others say that this is not possible – no matter how much the Iranian regime wants to. According to Reuel Gerecht, a senior fellow at the Foundation for Defense of Democracies, and Ray Takeyh, a senior fellow at the Council on Foreign Relations, the main obstacle is the unfinished work on advanced centrifuges. Ali Akbar Salehi, the head of the Atomic Energy Organization of Iran (AEOI), is an Iranian diplomat and academic who is probably behind Iran’s large-scale illicit dual-use import network. He has the support of Supreme Leader Ali Khamenei and, when President Hassan Rouhani became the president in 2013, he was able to make great progress on the country’s atomic infrastructure. Gerecht and Takeyh say that it would take years for the Iranian regime to reinstall the high-yield centrifuges. 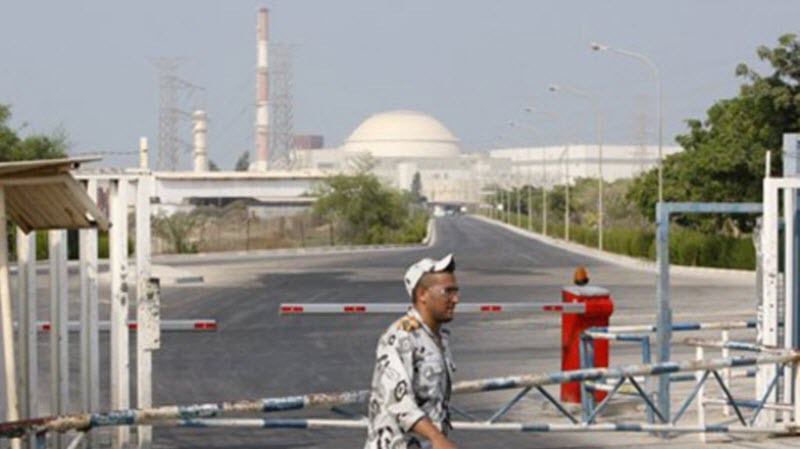 Furthermore, they are currently under surveillance by the nuclear watchdog that is in charge of monitoring Iran’s compliance with the nuclear deal – the International Atomic Energy Agency (IAEA). If Iran were to reinstall the centrifuges, it would not go unnoticed and there is a high likelihood that military strikes from the US would shortly follow. It has also been posited that the Iranian regime will not be quick to take any overly-drastic action if Trump announces a US pull-out of the agreement because it is nervous of the US administration. Especially now that new appointments have been made and the deal-sympathizers have gone. The United States is making it very clear that the “golden years” of appeasement are over and one can only hope that one day soon, the Europeans will follow.